Microsoft Office 2010 will reach its end of extended support on October 13, 2020. 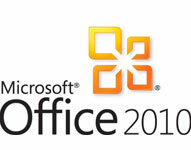 If you haven’t already begun to upgrade your Office 2010 environment, we recommend you start now. Incidentally, if you are still running Office 2007, you might be surprised to learn that Microsoft stopped its extended support on October 10, 2017. You should understand that running old and out of date software creates multiple vulnerabilities in your network. Without properly security updates and patches, you are leaving the door wide open to hackers and malware. With Office 2010 reaching its end of support, this is a good time to explore your options and prepare an upgrade plan to the latest versions of Office. This could mean O365 or Office 2019. Office 365 for business is the subscription form of Office. There are many plans that are available, from Essential plans right through to Enterprise plans. Office 2019, which is sold as a one-time purchase and available for one computer per license. If you are still using Office 2010 and needing to plan an upgrade, then you will leap frog all the way past 2013 and 2016 versions to the 2019 Edition. You will find some retailers still selling the 2016 Edition, but not sure you want to invest in software that has already been superseded. It’s like buying a 2018 model car when you are in 2019. Which model what you buy? Word 2019 gains support for the SVG scalable vector image format and rotatable 3D models, yet Word’s most significant new feature is its ability to translate to and from different languages. Simply highlight a section of text and click Review, Translate, and then Translate Selection. The latest version of Excel shares some of Words improvements (including the new Draw tab tools and Translator) and offers some new features of its own. It introduces a selection of new functions, most useful of which are MAXIFS and MINIFS, which return the largest or smallest value in a range, respectively. Also included are two new types of chart; Map Chart and Funnel Charts. With Outlook 2019, like Word and Excel, many of the new features, such as scheduling meetings across multiple time zones in your calendar, are business orientated. There are also a handful of other useful changes, including the option to mark all emails as read on deleting them, to prevent your Deleted folder reporting dozens of unread messages. It might be a minor thing, but I have 57,000 + unread deleted emails! Whether you opt for O365 platform or stay with the standard Office 2019 edition, the fact remains that you need to upgrade to protect your business. For more information on which Office edition is best for your business, get in touch with a TCT representative today.